InCycle Hosting Global DevOps Bootcamp in New York & Dallas. The Global DevOps Bootcamp is a free one-day event hosted by local passionate DevOps communities around the globe and centrally organized by Microsoft partners and sponsored by Microsoft. This event is all about DevOps on the Microsoft Stack. It shows the latest DevOps trends and insights in modern technologies. It is an amazing combination between getting your hands dirty and sharing experience and knowledge in VSTS, Azure, DevOps with other community members. The bootcamp will be held on Saturday, June 16th and will focus on DevOps on the Microsoft Stack. This year's theme will be 'from one release per month to multiple releases a day'. We will kick off with an introduction of a well-known authority in the DevOps space, followed by a keynote from InCycle about what's next DevOps. During the day you will be supported and guided by InCycle experts who are active in the Microsoft community. InCycle Sponsored Events - Join us! 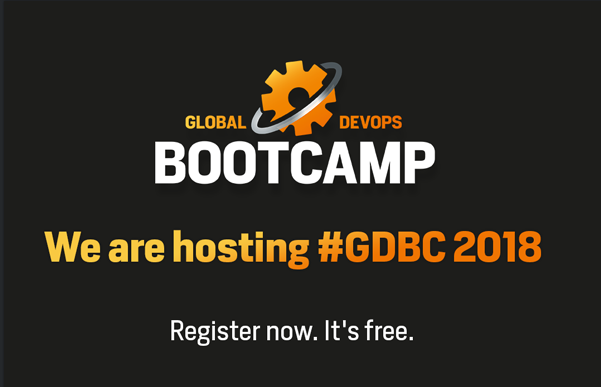 To learn more about other locations, visiting Global Devops Bootcamp.